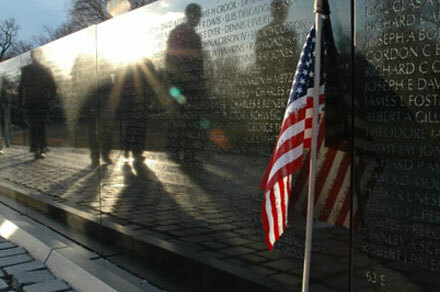 Maya Lin designed the Vietnam Veterans Memorial for a course in funerary architecture at Yale University. She got a B-plus, but she submitted the idea to the national competition then under way to pick a design for a Vietnam memorial, and beat out more than 1,400 other entrants. When the plan was unveiled, it caused a minor scandal. The Vietnam Veterans Memorial is like no other war memorial built before it: there is no triumphalism or celebration of bravery in it, just a long black granite wall engraved with the seemingly endless names of the Vietnam War’s dead. It was called a scar on the earth, a ditch, a slap in the face to veterans. Jim Webb, now a U.S. Senator from Virginia, called it a “nihilistic slab of stone.” There were accusations that a Communist had infiltrated the competition jury, and slurs against Lin’s ethnicity. It came very close to not being built at all. She was right. Veterans and family members of those who served do cry in front of the wall, and it’s not hard to understand why. The polished surface of the stone gives the visitor a clear reflection of him- or herself, superimposed on the 58,260 names of those who never came home (including 1,200 listed as missing, denoted by a cross rather than the usual diamond). It’s a simple, powerful juxtaposition — we the living, they the dead — that will move you even if you have no direct connection to the Vietnam War. Every day people leave offerings at the foot of the wall; all of these except for perishables like food and flowers are collected by National Park Service rangers, tagged, and archived. A rotating selection is displayed at the National Museum of American History. 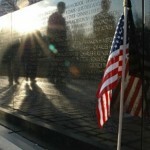 If you know someone who fell in Vietnam, you can locate his or her name on the wall at www.thewall-usa.com before you visit. It has become a tradition to bring blank paper and a pencil to take a rubbing of the engraved name. The Vietnam Veterans Memorial is at the western end of the National Mall, adjacent to the Lincoln Memorial in West Potomac Park. It is just north of the Korean War Veterans Memorial, across the Reflecting Pool. 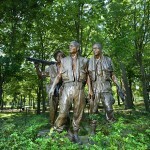 Hours: The public may visit the memorial 24 hours a day. Rangers are on duty to answer questions from 9:30 am to 11:30 pm daily. Parking: Limited parking is available along Ohio Drive, SW, between the Lincoln and Thomas Jefferson Memorials. Metrorail: Take the Blue or Orange Line Foggy Bottom/George Washington University, walk eight blocks south on 23rd Street, then circle east around the Lincoln Memorial. On the Red Line, Farragut North is closest, but its a bit of a hike from the station.